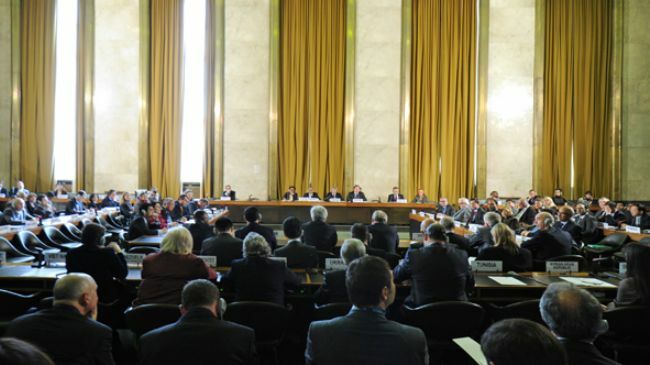 The United States has threatened to boycott the upcoming UN Conference on Disarmament because Iran will be assuming the presidency of the body. Erin Pelton, the spokesperson for the US Mission to the United Nations, said in a statement issued on Monday that the US would not send its ambassador to the conference. She added that the US believes the Islamic Republic of Iran should be barred from any formal or ceremonial positions in UN bodies. 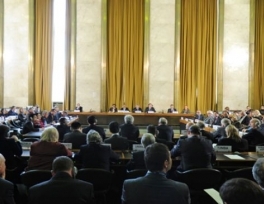 Iran, which frequently calls for the elimination of all the weapons of mass destruction in the world, will accede to the rotating presidency of the 65-nation conference based in Geneva on May 27 and hand it over to another country on June 23. The United States, Israel, and some of their allies have repeatedly accused Iran of pursuing non-civilian objectives in its nuclear energy program. Iran rejects the allegations, arguing that as a committed signatory to the nuclear Non-Proliferation Treaty (NPT) and a member of the International Atomic Energy Agency (IAEA), it has the right to use nuclear technology for peaceful purposes. In addition, the IAEA has conducted numerous inspections of Iran’s nuclear facilities but has never found any evidence showing that Iran’s civilian nuclear program has been diverted to nuclear weapons production.